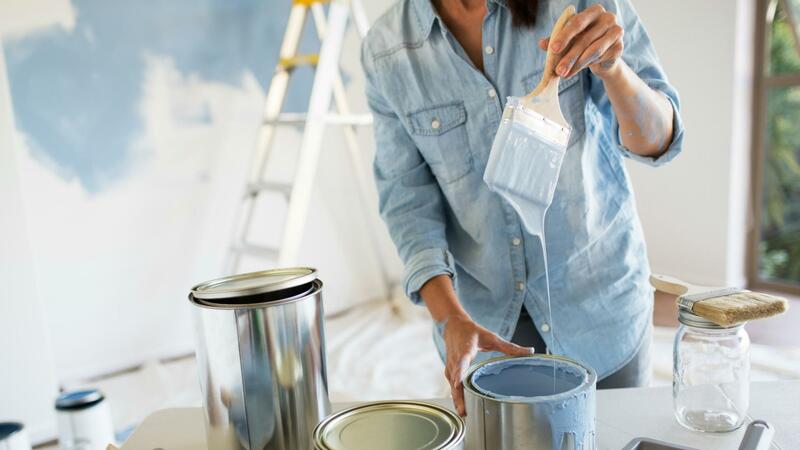 If you’ve ever built a custom home, moved into a home, or even just watching a house show on TV then you know how important paint is. The right color can transform a space and the wrong one can ruin an entire home. But it’s not all about color. Paints come in different finishes, also known as sheens. Picking the right sheen is just as important as picking the right color. Here’s what you need to know about them and how to use them effectively. Sheen, or paint finish, is simply a way to classify paint based on how much shine it has. The spectrum of sheen runs from flat on one end, where there is no shine at all, to high gloss on the other end, where it’s as shiny as paint gets. People often don’t understand why sheen matters for paint. The sheen can determine a lot about how the paint acts in the home. Paints with less shine tend to hide more imperfections but don’t clean as easily. Paints with more shine show more flaws but they’re also easier to clean. The sheen can also impact how durable it is and even impact the lighting in a room. Flat paint has zero shine to it. It’s great for hiding imperfection though, such as dents or scrapes. It’s most often used for ceilings, which often have imperfections and most people don’t want to draw attention upwards. Flat paint is also best used in low-traffic areas because it’s prone to stains and doesn’t clean easily. Eggshell paint has a bit of a shine to it compared to flat. It’s great for moderate traffic areas like living rooms and bedrooms, especially in homes with kids and pets, as scuffs can easily be cleaned off. Satin is a great sheen for almost any room. It has a bit more shine to it compared to eggshell, but not too much. It works well in high traffic areas or places with more moisture. It’s a great sheen for bathrooms and kitchens! Semi-gloss paint is shiny, but not glass like. This finish is often the preferred choice for cabinets and trim, but it’s not often used on walls because of the shine and it’s tendency to highlight flaws. It’s super durable and easy to clean though so it works well in high traffic areas. Gloss can be super shiny, but that’s a good thing sometimes. It’s the easiest to clean and it’s great for high use surfaces like railings and furniture. If you have a dark room, using a glossy paint can help bounce light around, brightening it up. However, this paint requires a bit of prep and it will highlight any imperfections on the surface it’s applied too. Next time you go to select some paint for your home, take the time to figure out what sheen would work best in the space. There are certainly no hard and fast rules on where different sheens can be used in a home, but through years of experience interior designers and home builders have found the best uses for them. If you have any questions feel free to contact us!